1201 Hall – Johnson Rd. 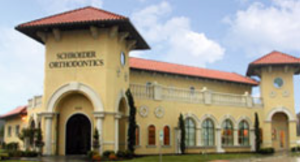 Dr Douglas Sinn’s office is located in the office of Schroeder Orthodontics Office. Please call for an appointment and his availability at this office. HIPAA Notice: Please keep in mind that communications via email over the internet are not secure. Although it is unlikely, there is a possibility that information you include in an email can be intercepted and read by other parties besides the person to whom it is addressed. Please do not include personal identifying information such as your birth date, account numbers, Social Security numbers, credit card numbers, passwords, or personal medical information in any emails you send to us. No one can diagnose your condition from email or other written communications, and communication via our website cannot replace the relationship you have with a physician or another healthcare practitioner.